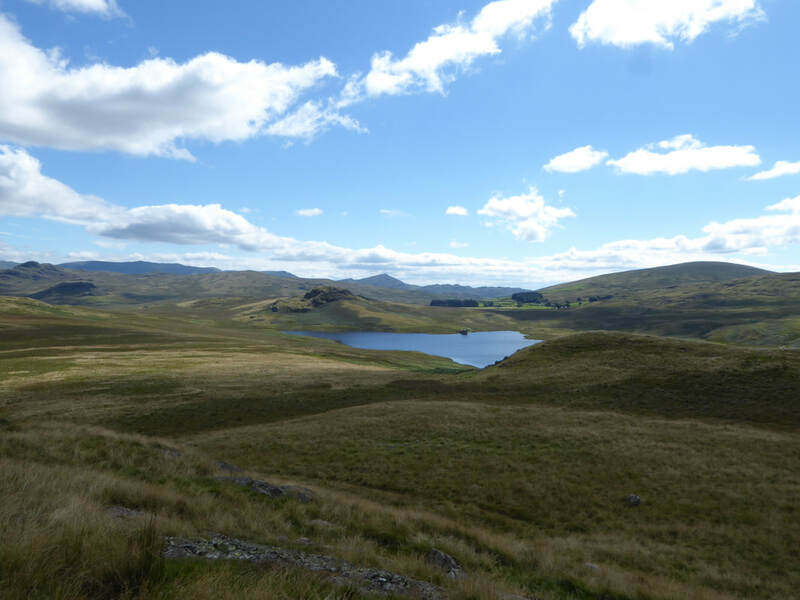 Farm tracks & grassy mountain paths. 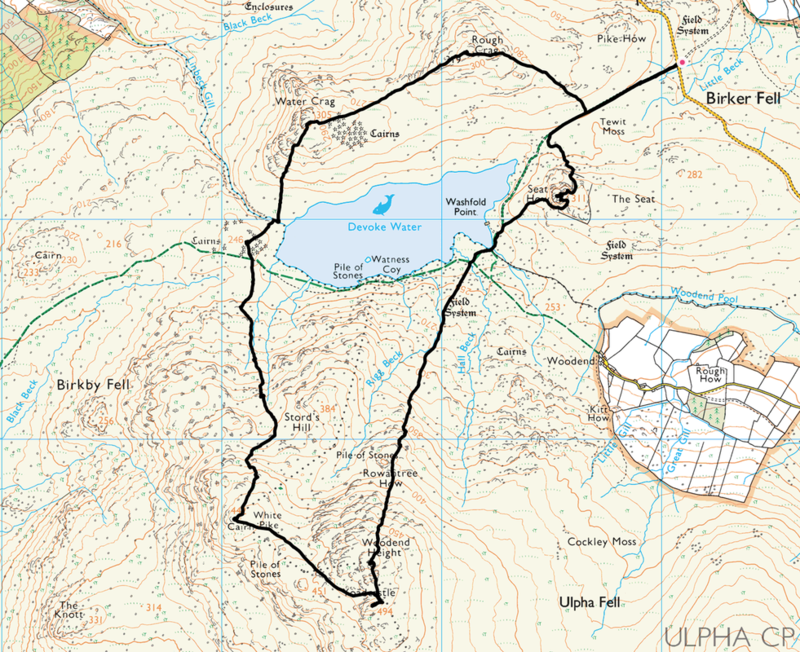 There are some pathless transits over boggy terrain - these are detailed below in the walk text. 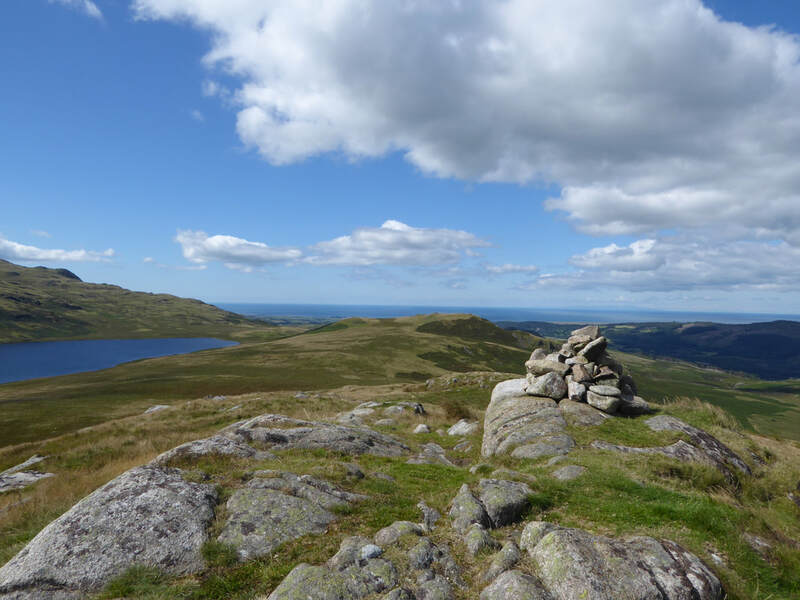 Sunny with very good visibility and fresh breezes. 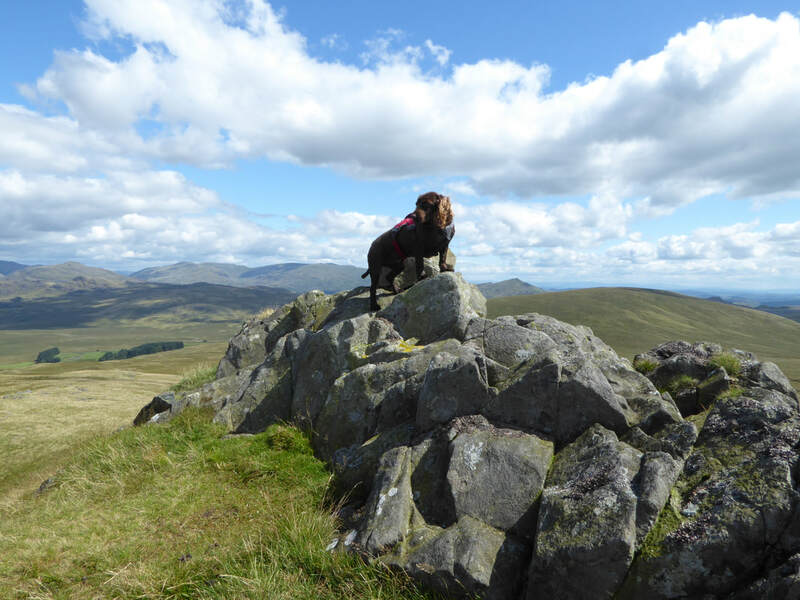 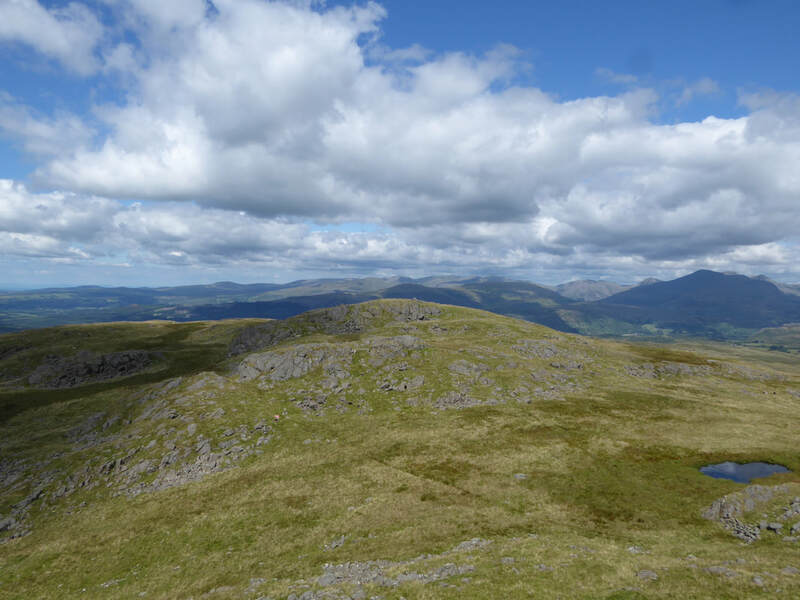 A few years ago we were browsing through Wainwright's Outlying Fells book and came across todays walk - one we must do soon we thought. 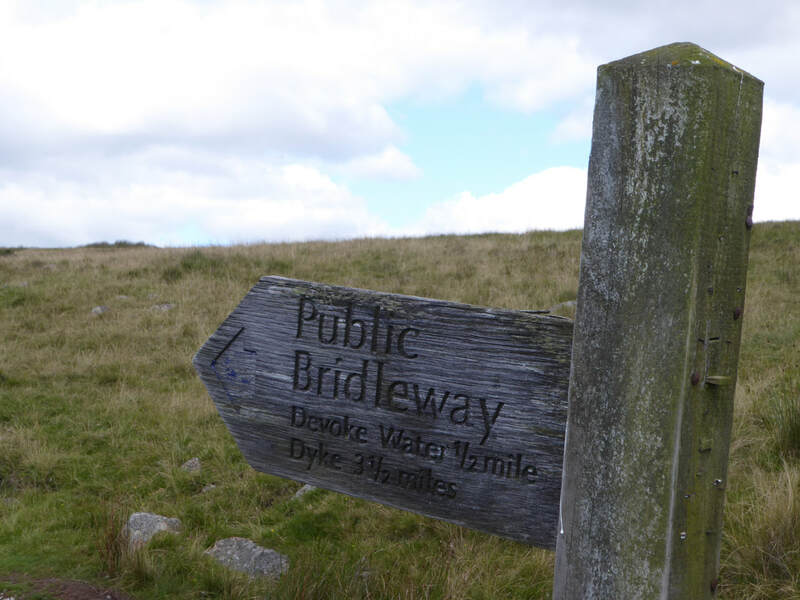 It may have taken us a while but we finally got around to it at last - and it did not disappoint. 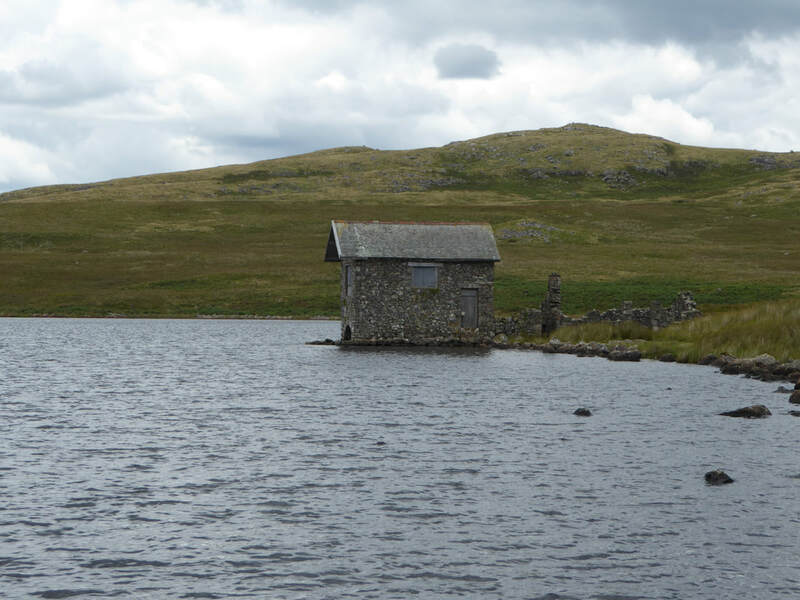 Devoke Water is in the west of the Lake District and has the title of the largest tarn in the National Park. 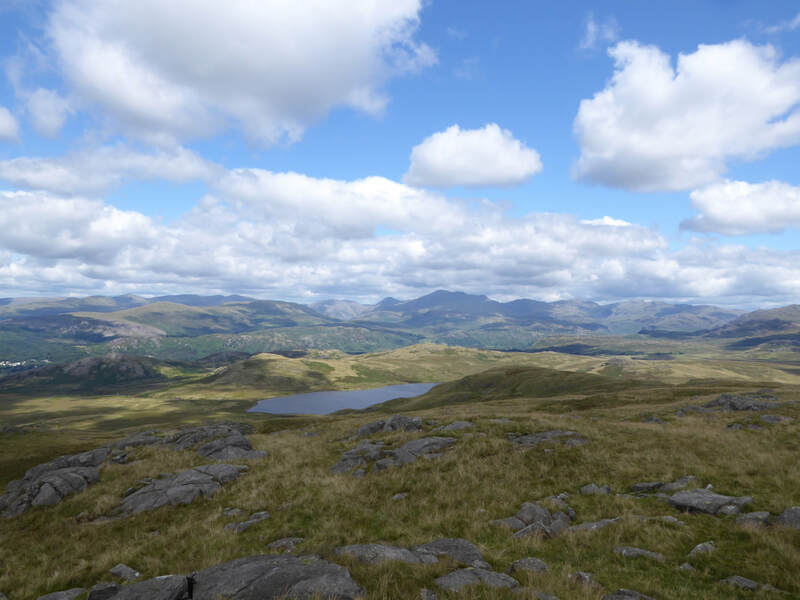 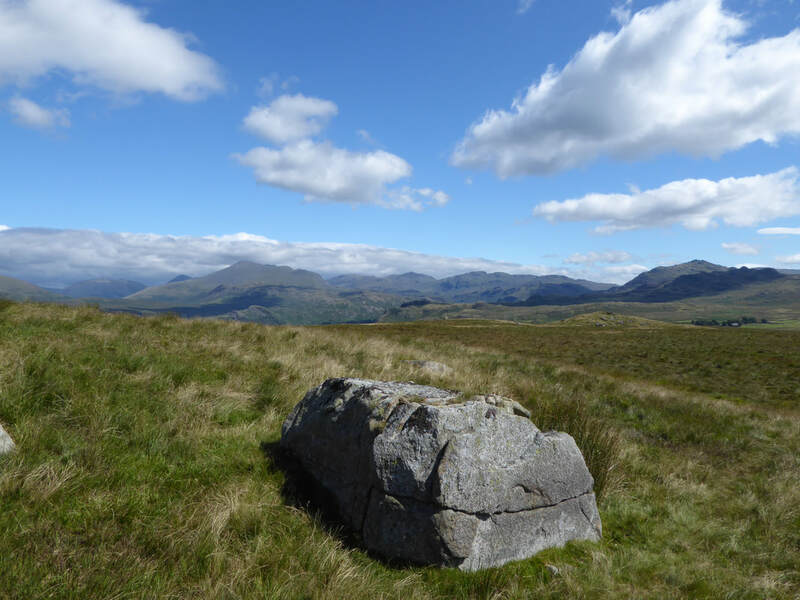 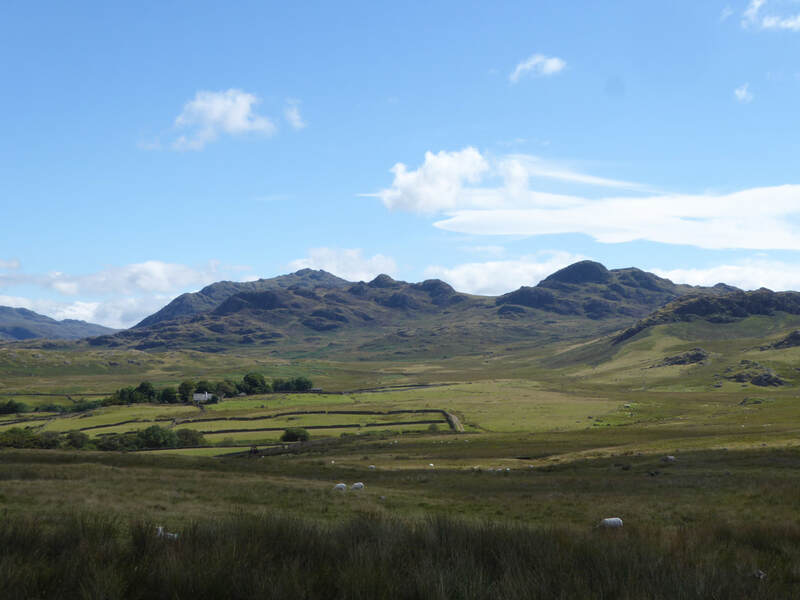 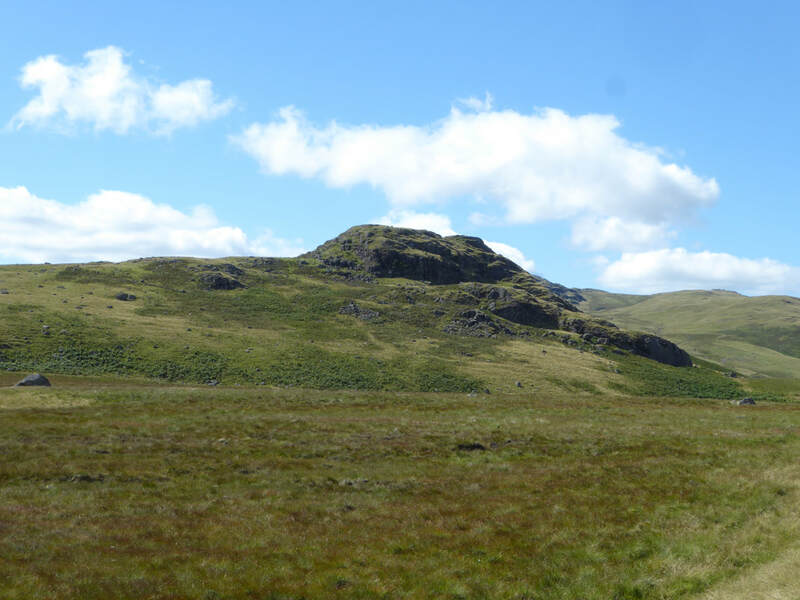 It officially lies on the area known as Birker Fell and access to it is normally via a track that leaves the road between Ulpha & Eskdale - this track is followed for a short way at the start. 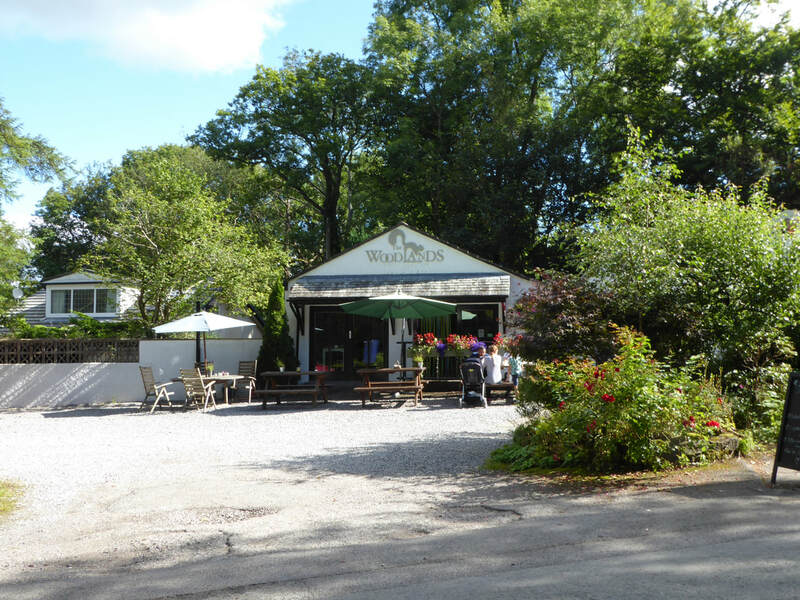 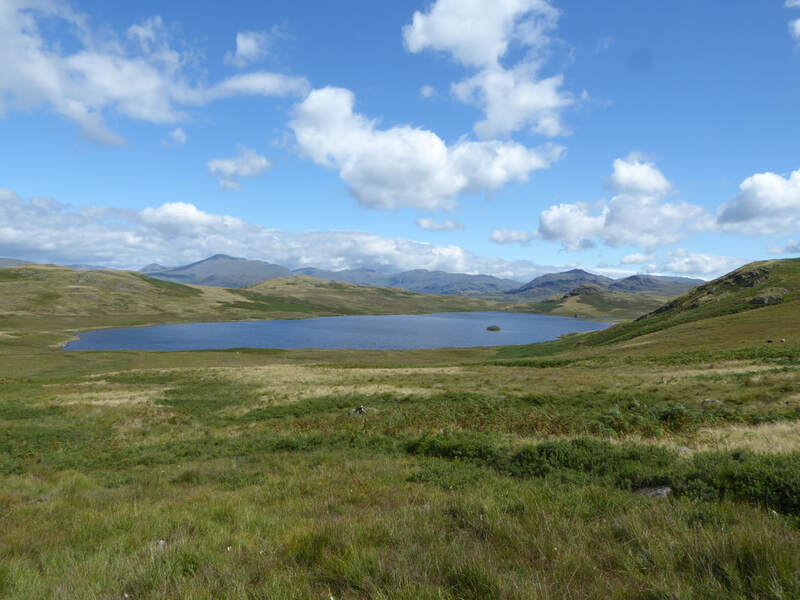 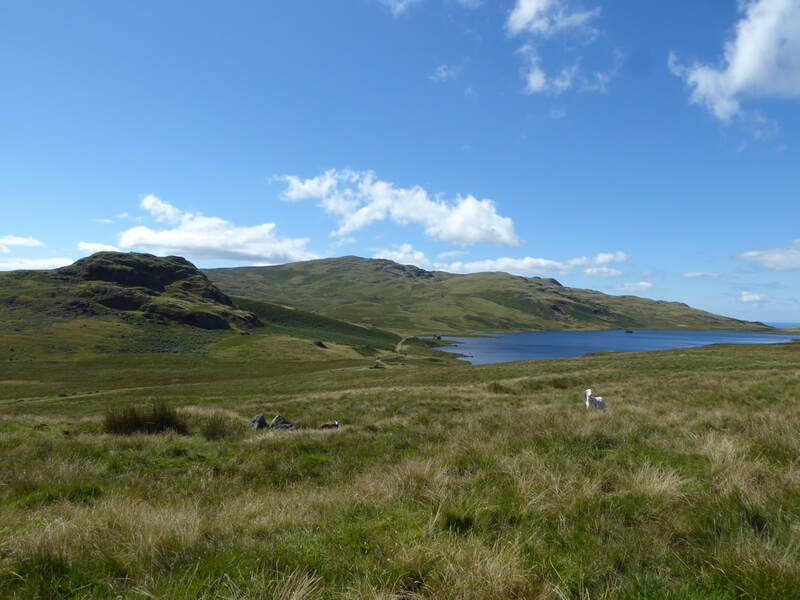 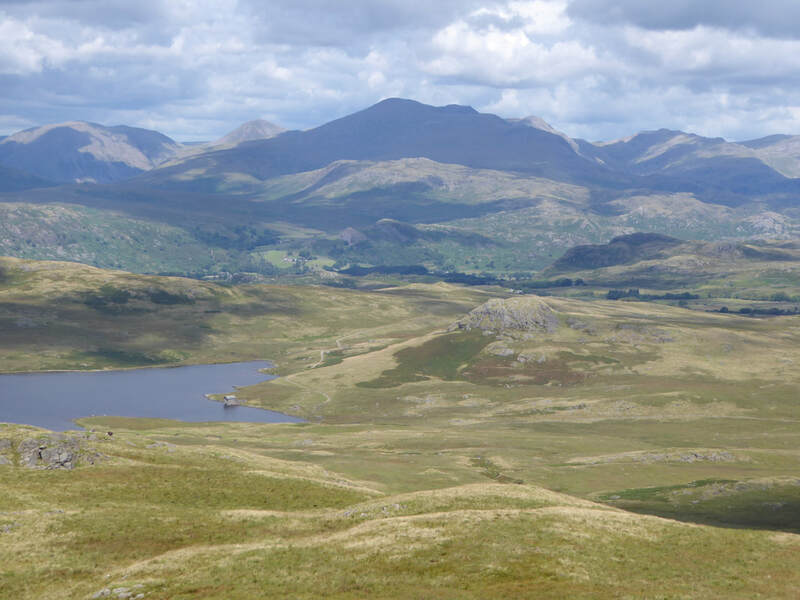 The tarn is surrounded by several Outlying Fells and provides a delightful transit around the water. 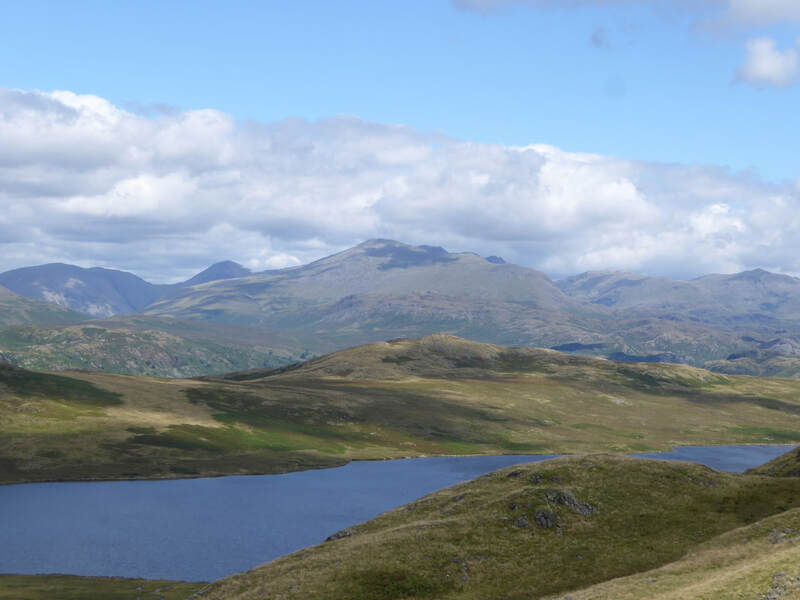 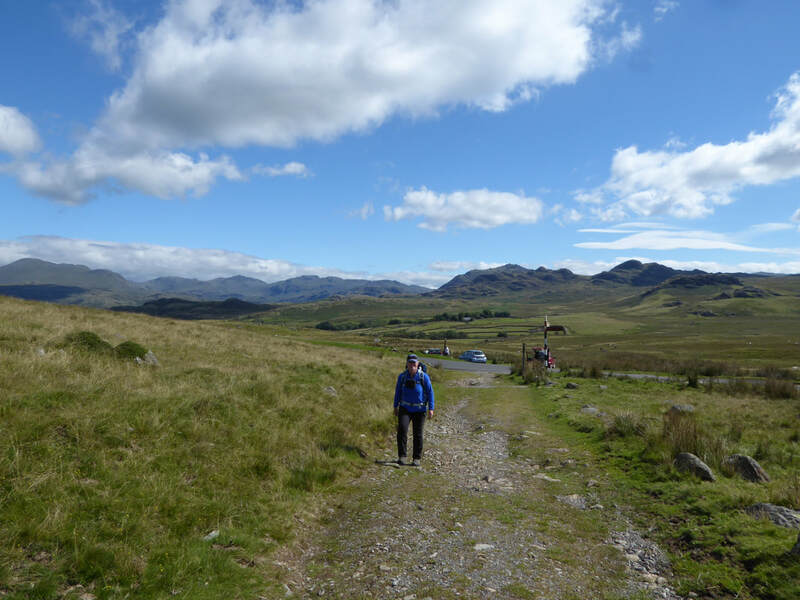 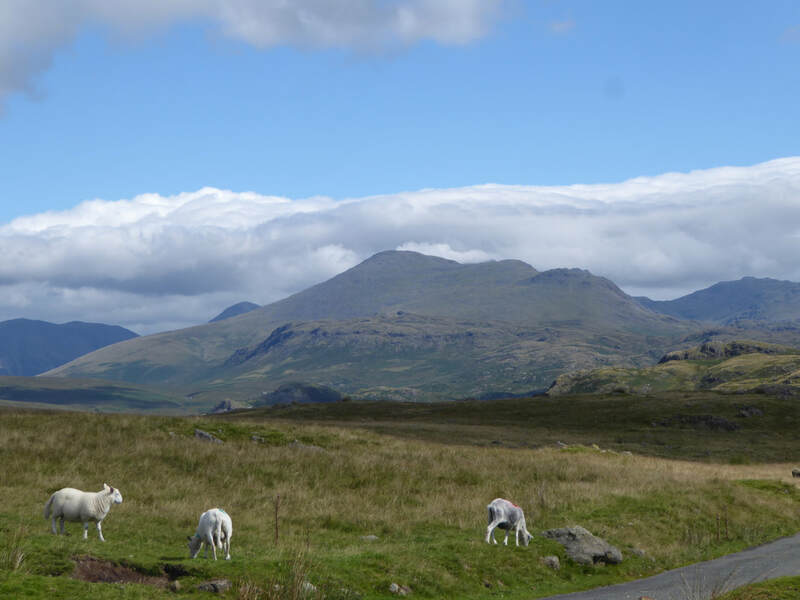 ​The walk starts from the Birker Fell Road where there is parking on the road verge, mainly on the access lane to High Ground Farm. 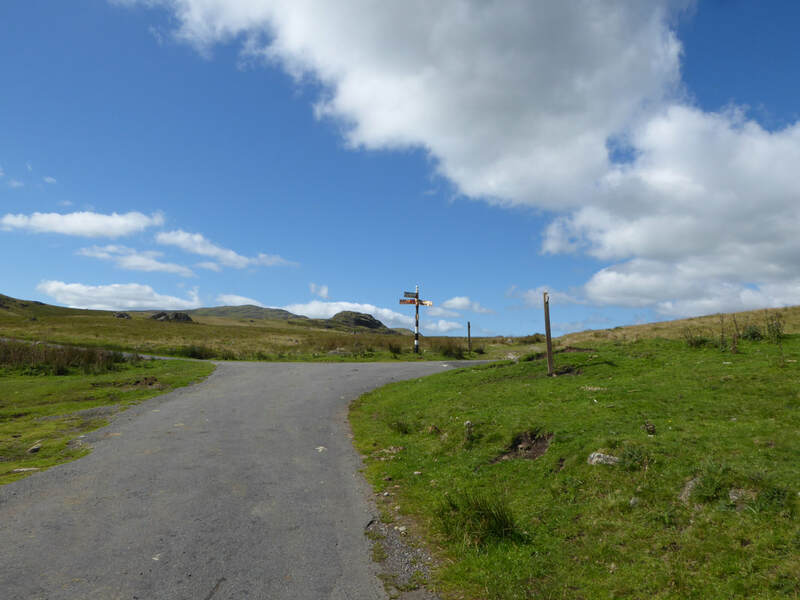 From the parking area the Birker Fell Road is crossed to head south west on a public bridleway signposted Devoke Water & Dyke. 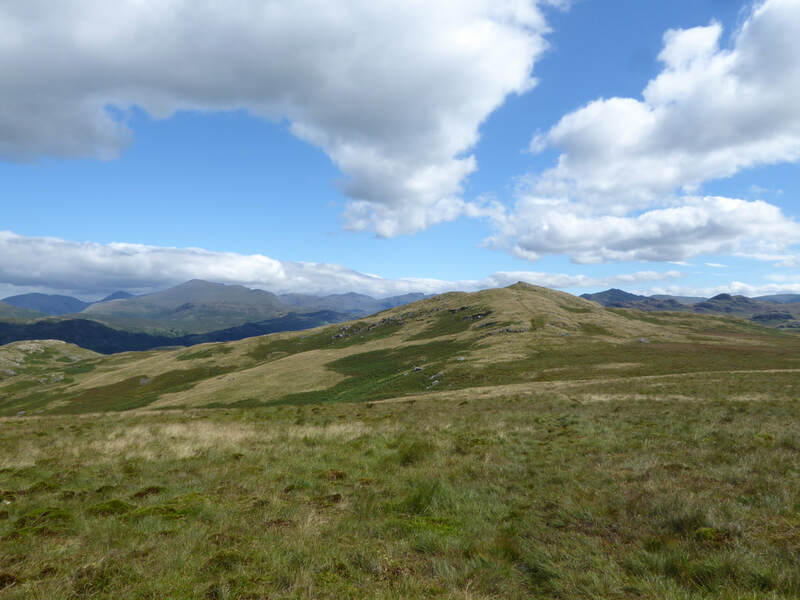 A gate is shortly reached and about twenty yards on, a faint path heads up the fell side - do not worry about missing the path as the terrain is fairly gentle as it rises over the grassy slopes to reach Rough Crag. 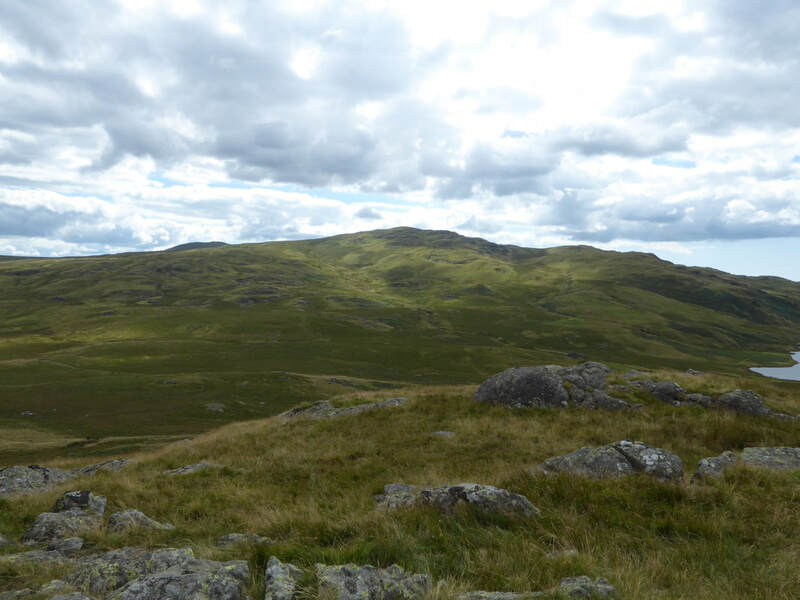 The summit, as with all the tops on this walk gives superb views on all sides. 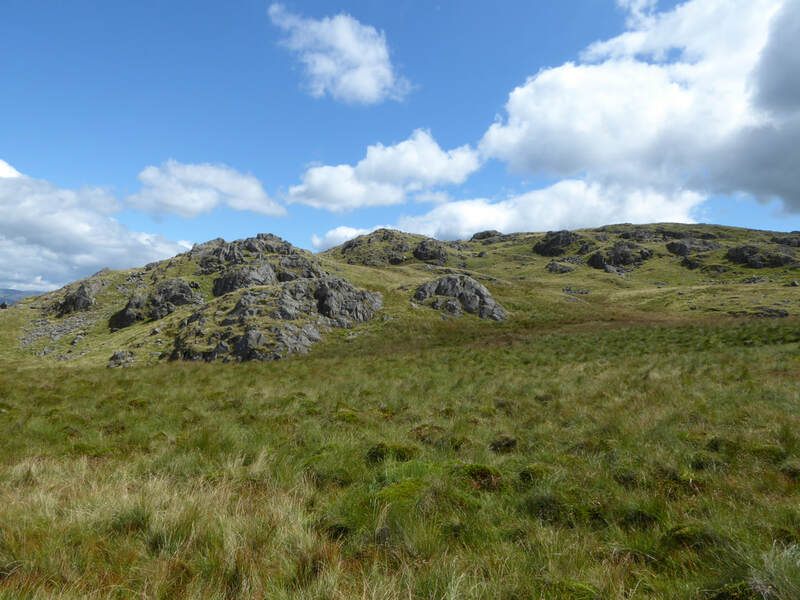 From Rough Crag the path to Water Crag is clearly evident and maintains height until the summit is reached. 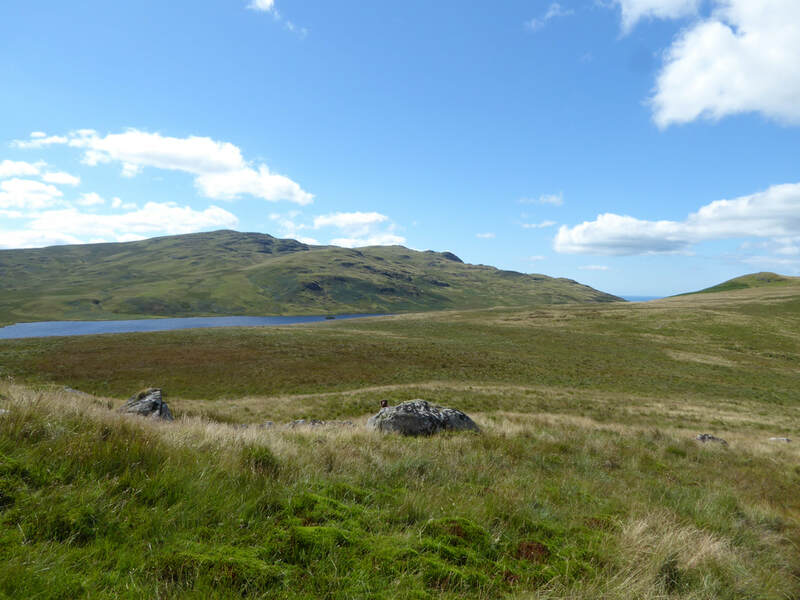 From Water Crag the transit down to the western edge of Devoke Water is pathless and boggy in parts and it is a simple case of a bit of side stepping to avoid the worst areas. 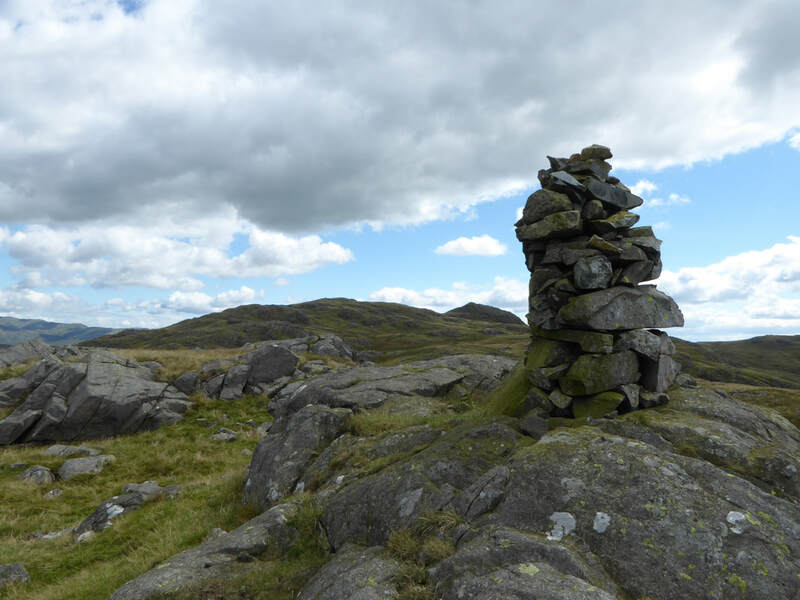 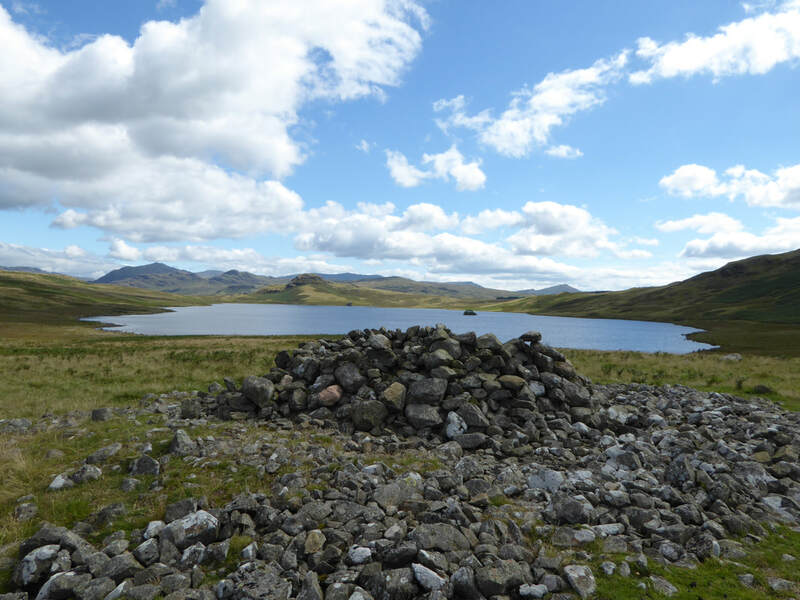 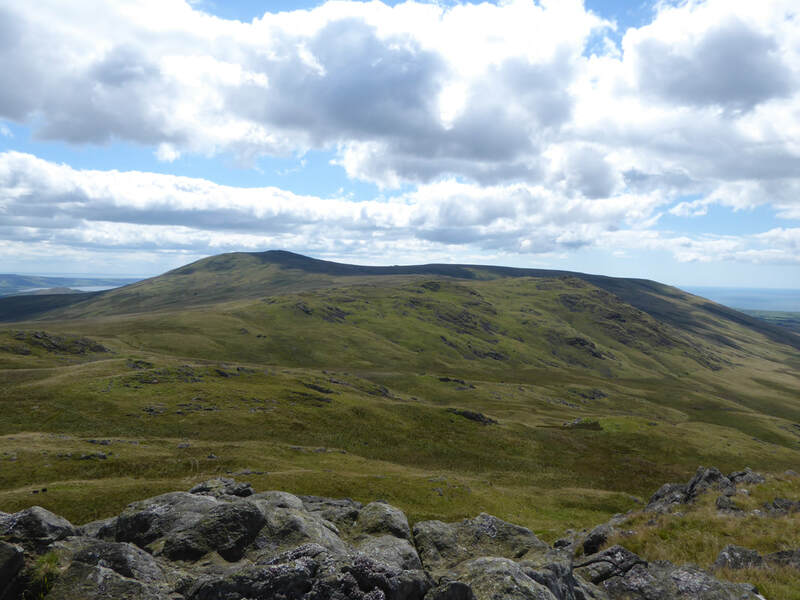 Passing an ancient cairn, the terrain steepens and is still pathless as it passes over the flank of Stords Hill on grass before levelling out as it reaches White Pike and its impressive summit cairn. 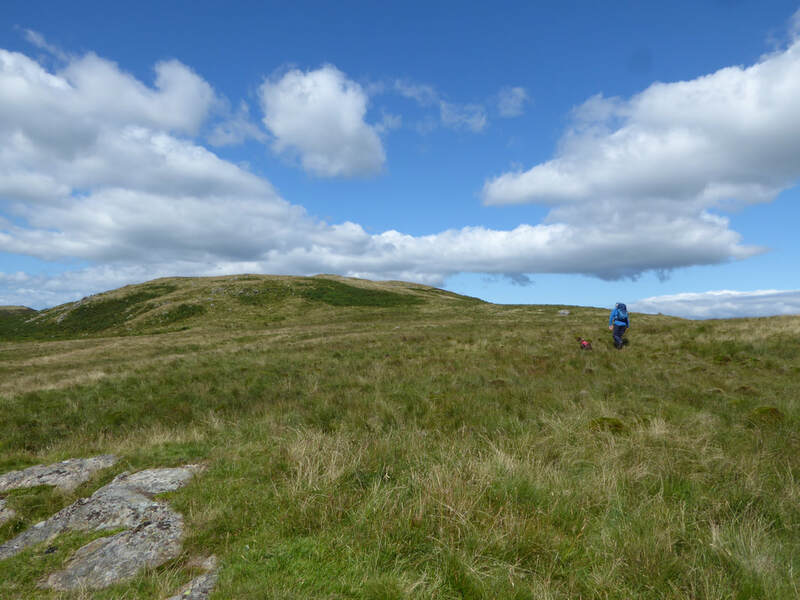 Leaving White Pike we now had a path again as we headed over to first Yoadcastle and then the short distance over a grassy depression to Woodend Height - two lovely summits that give splendid views over towards Whitfell and the Isle of Man. 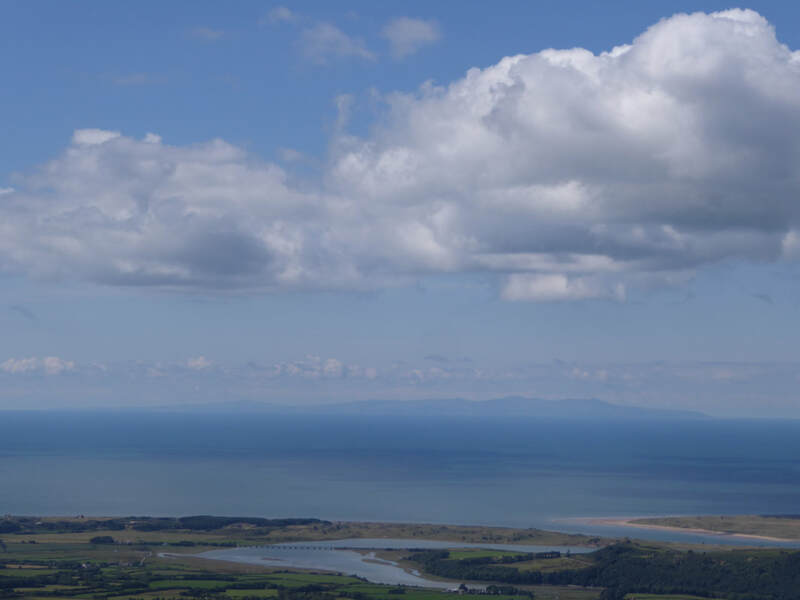 ​From Woodend Height it was now a question of making a beeline for the clearly visible track just below Seat How. 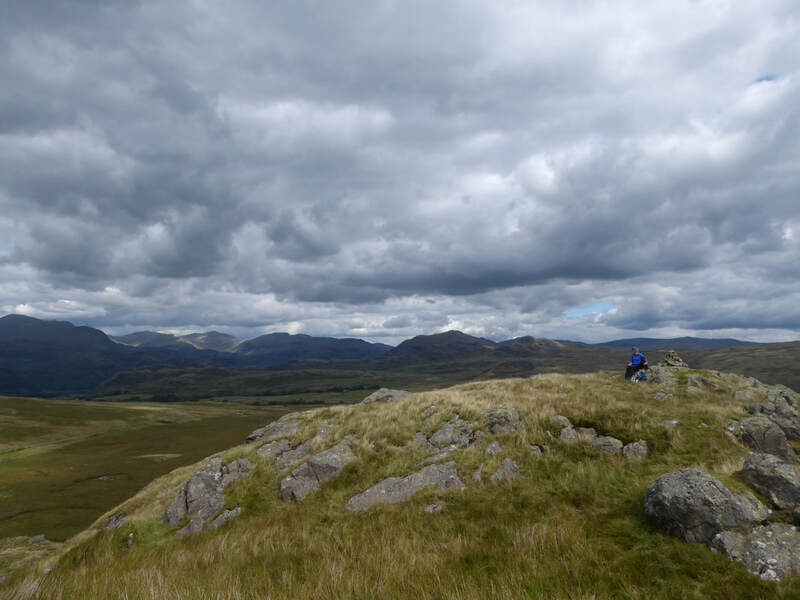 The terrain drops steeply at first then eases but becomes boggy as the ground levels out. 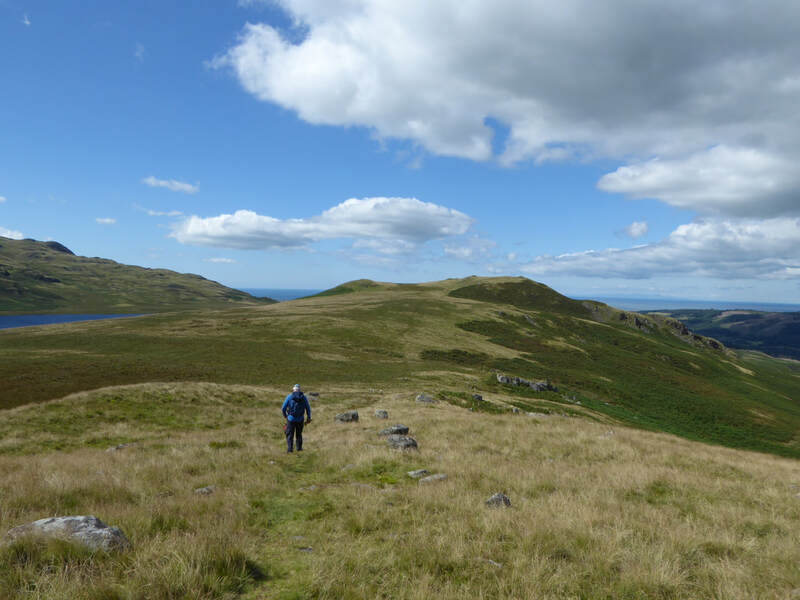 Reaching the shoreline and the track we meandered along this for a short while before leaving it to head up to the lower slopes of Seat How - the path is vague here but soon heads around to the east of the fell where an easy ascent to the summit can be made. 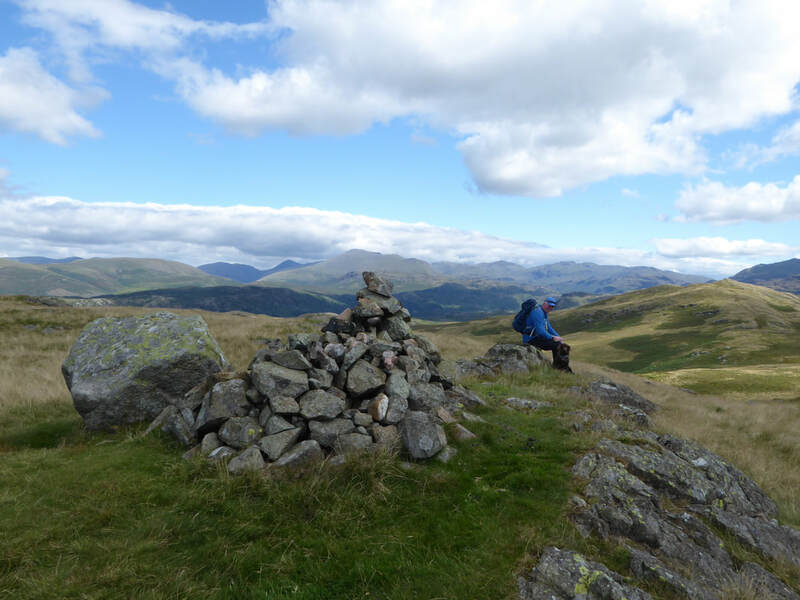 The best way off Seat How is to retrace your steps and then head around to the north of the fell before dropping steeply once more and again over boggy ground to reach the track which eventually returns to the start point. 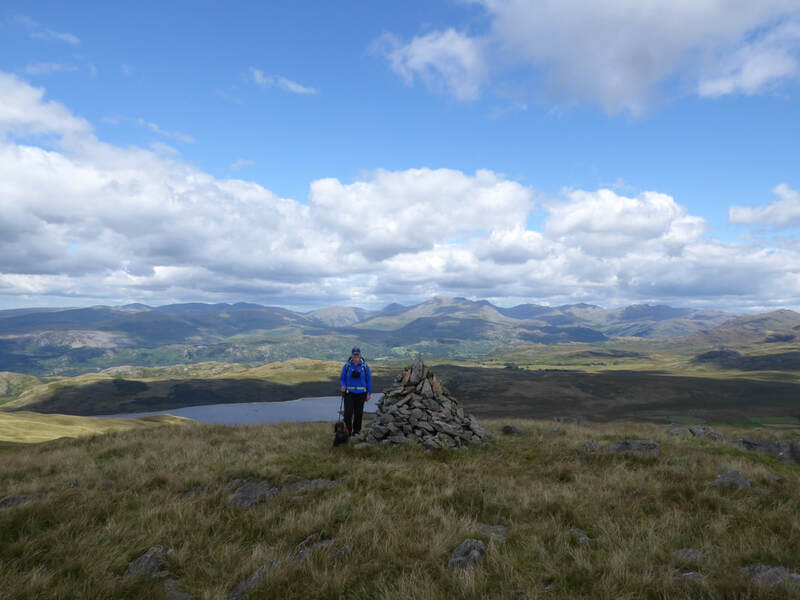 We really enjoyed today - sure the terrain is a challenge in parts but this adds to the remote feel of the walk and the views throughout are simply stunning. 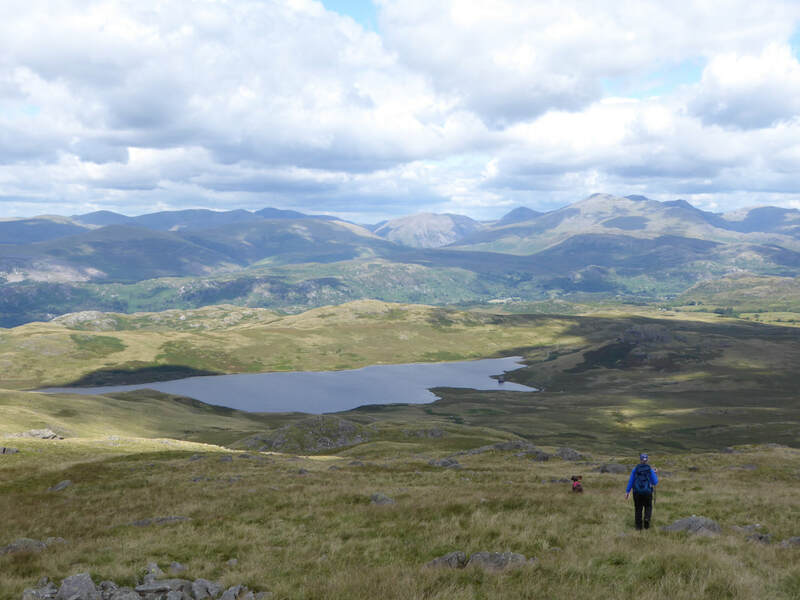 Definitely one to be repeated. 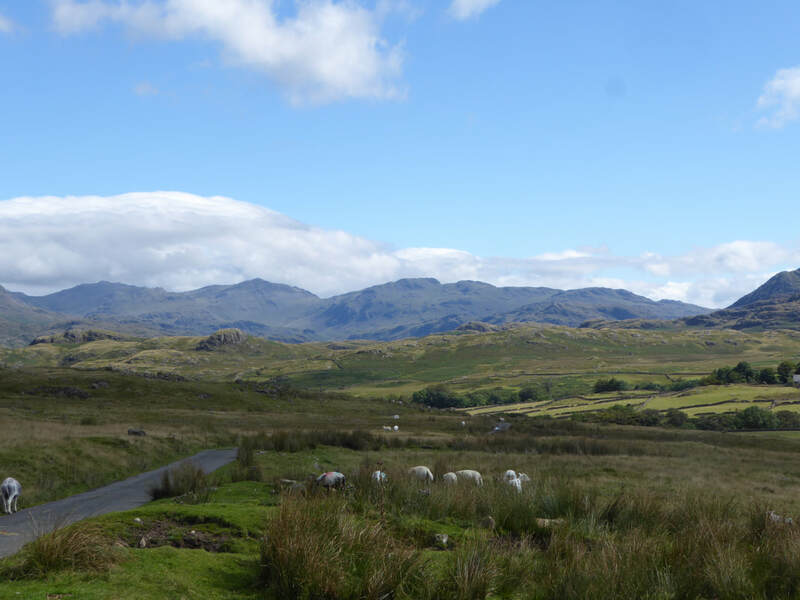 Ordinarily it is a short bimble from the Birker Fell Road to Devoke Water - however today we were going the long way around!